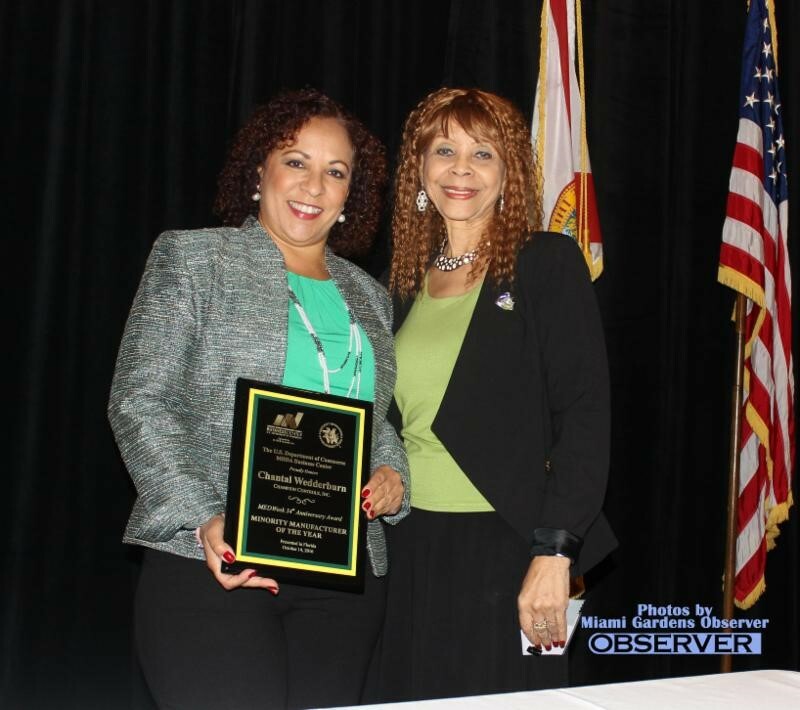 The award was presented to Chantal Wedderburn, Champion’s CEO, during the organization’s Florida MEDWeek2016 Business Matchmaker Conference & Awards Power Lunch at the Koven’s Conference Center in North Miami, Florida on October 14, 2016. MBDA is an agency of the U.S. Department of Commerce that helps to create and sustain U.S. jobs by promoting the growth and global competitiveness of businesses owned and operated by minority entrepreneurs. The MBDA reports that minority-owned firms contribute over $1.4 trillion in annual economic output to the U.S. economy and directly account for 7.2 million U.S. jobs. Champion Controls is a leading control systems supplier providing system integration and engineering design services, as well as manufacturing of custom control panels for a variety of industrial and municipal markets including the water, waste-water and renewable energy segments. These systems include programmable logic controllers (PLC), remote telemetry units (RTU), supervisory control and data acquisition (SCADA) systems, and data logging solutions. The company’s engineers have a breadth of experience with field instrumentation equipment for measuring flow, pressure, temperature, level, pH, turbidity, etc., as well as stand-alone analyzer products.